When you invest money, time or effort in something, you expect a return equal to or greater than what you put in. 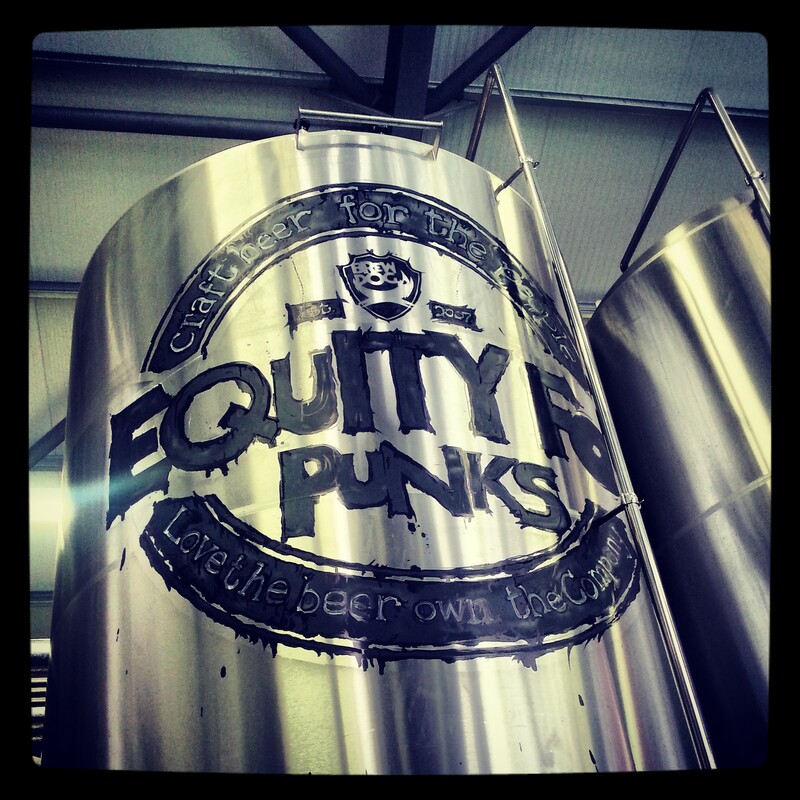 A major criticism of BrewDog’s Equity for Punks shareholder scheme has been that it is not a traditional model where dividends are distributed and shares traded. Some say that BrewDog are taking advantage of their fans’ passion and excitement and taxing them for it. Others might say that what BrewDog do best is bottle the excitement of the people who are passionate about their beer, and use that excitement to create even more of it. Where you stand on this issue depends on how feel about BrewDog as a company, not just a brewer. Their yearly Punk AGMs are becoming an excellent gauge by which to measure not only their success, but their attitude. Last year’s Punk AGM held at the Aberdeen Exhibition and Conference Centre (AECC) was a riotous, beer-soaked but ultimately flawed event. Where some things, like the beer, music and people, were absolutely spot-on, there were unacceptable organisational errors that threatened to mar the whole experience. This year, attendees from last year’s event would be examining everything closely. The same mistakes would not be tolerated. Thankfully, this year’s Punk AGM was undoubtedly a marked improvement in every way. A larger space was used, allowing for a more visible divide in the event’s juxtaposition of beer festival and music festival. A large seated area with a bigger stage was in use in addition to the space used in the AECC last year, and there more tables and chairs in general, allowing for a slightly more relaxed pace early on. A key improvement was the AGM shop. Last year, it brought out the worst in everyone. Poorly managed, understaffed, and no queueing system at all. Imagine the worst nightclub bar you’ve ever queued at. Seven deep at the bar, a handful of staff, and everyone with a long order to place. This year, it was a remarkably well-organised and simple affair. An actual roped-off queuing area, a division of counters to order merchandise and beer from (but only needing to queue once for both), and more staff made the experience a breeze. The bars were also well-staffed and featured a frequently-changing menu of beers from BrewDog, Anchor, Brodies and Mikkeller. Anchor was woefully underepresented here, but the selection from the other breweries was impressive and varied. The palpable excitement that crackled around the venue as a new beer came on made for a great atmosphere. Stand-out beers included Mikkeller’s Green Gold IPA, Brodies Romanov Empress Stout, and a true innovation: BrewDog’s Hopinator. 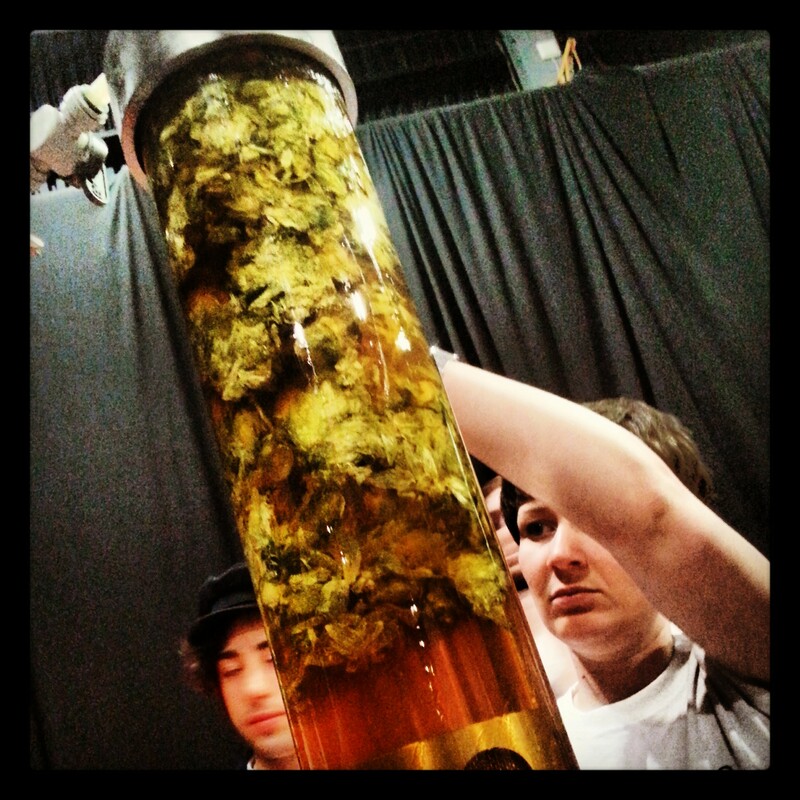 The Hopinator is effectively a way of infusing an extra dose of hops (or coffee, or cocoa beans, spices etc) on the bar itself at the point of serve. The IPA is Dead Goldings single hop IPA was ‘hopinated’ at dispense with Chinook, and later with Amarillo, both combinations creating sensationally aromatic and delicious IPAs out of the somewhat awkward and unbalanced original beer. Alice Porter also went through it, and at the Aberdeen bar the next day, Cocoa Psycho was put through a Hopinator loaded with Sumatran Coffee. It was incredible. Look out for a Hopinator in your local BrewDog bar soon. Another big improvement was engagement with shareholders, from people in BrewDog and other breweries too. Two brewers from Mikkeller attended, and hung out at the bar chatting to anyone who wanted to talk hops. Brewers from BrewDog were naturally also present (in penguin and alligator costumes as I recall), as well as James Watt and Martin Dickie themselves. Martin in particular made a special effort to talk to as many people as he could, and you could see how excited people were to talk with him. But what about the business? Wasn’t this some kind of AGM? Business was discussed, as you might expect, alongside videos of exploding mainstream lagers, dogs, fireworks and other such things. There were live tastings of the marvellous crowd-sourced recipe beer #Mashtag, an unfiltered version of Fake Lager, and the new IPA-spirit hybrid Watt Dickie. Meanwhile, we were given a sneak peek at Brew Dogs, the TV series James and Martin are making. If it comes to these shores (it’s currently being made for the Esquire channel in the US), expect a sort of Top Gear (Top Beer?) style programme but with devil-horns hand signs and pornographic close-ups of hops. It will infuriate some, but enthrall others. I say it can only help to raise the profile of good beer and the people who make it. The company as whole is still growing at a prodigious rate – and is now the fastest growing food and drink company in the UK. More bars are planned in Liverpool, Dundee and the US, and plans are already underway to expand the new brewery (more on that later). The was a recap of events good and bad in the past year, including the infamous Diageo award-fixing shenanigans (which might be the best thing to have happened to BrewDog). There are plans for off-sales bottle shops (Bottle Dog), starting in London, as well as a renewed effort to get the Hackney Brewing Academy underway. The Academy could well be the best thing BrewDog do, as it plays to their strengths: communication, education and enthusiasm. The evening’s local bands all had a similar, indie-rock vibe. The excellent Fatherson, who played last year, were the pick of the bunch. The other groups failed to generate the same full-on, festival atmosphere that the likes of Kassidy and BombSKAre achieved last year. Another improvement was the food selection. Instead of one ropey burger truck, a proper catering section was set up, with a variety of curries, pulled pork, burgers, and other hearty foods were served up, each of them a great combination with the powerfully-flavoured beers on tap. It was a fantastic day and night of beer, food and music, made all the better by shrewd organisational improvements. 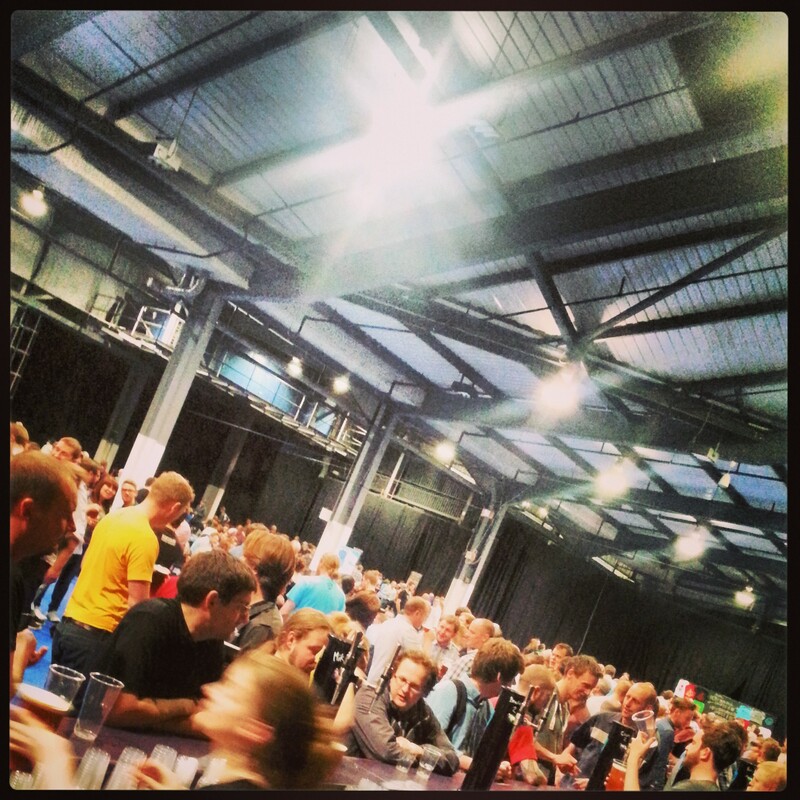 The next day, shareholders and their guests were invited to the new brewery in Ellon. It’s a place that is so firmly ingrained in my mind from photos posted online that actually being there felt a little unreal. It’s a really exciting place, glittering with Instagrammable steel and graffiti, and full of people smiling and high-fiving each other. Like other aspects of the company, that sentence may have brought you out in hives. 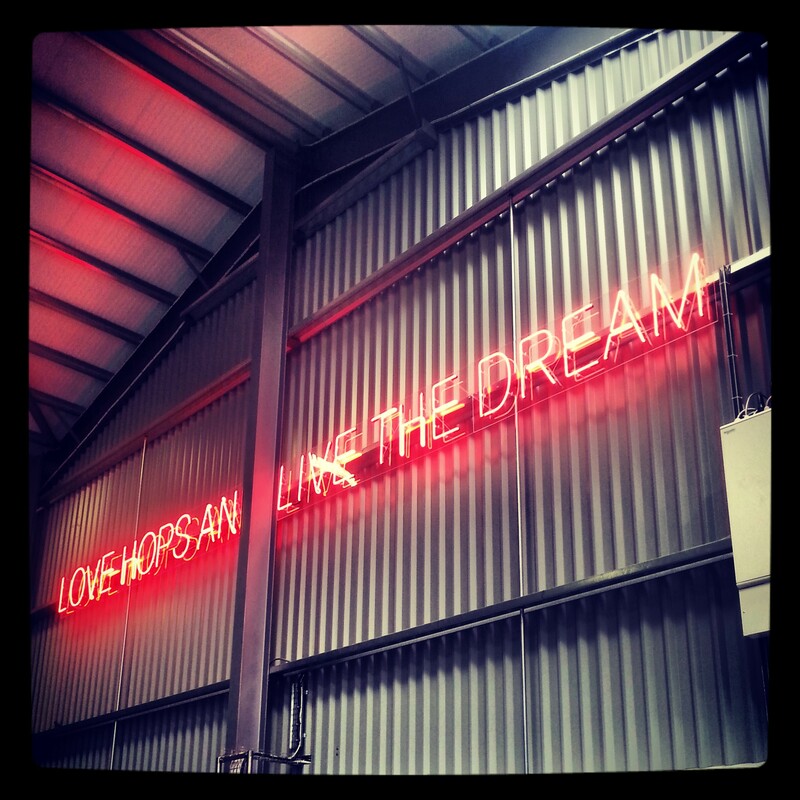 For others, myself included, it was a fantastic place that really gives you faith in the people that work at BrewDog. The tour group I was in was taken around the brewery by head brewer Stewart Bowman. Stewart, who looks like he has just stepped out of Skyrim, is a lovely, affable, friendly chap. His knowledge and enthusiasm is a real credit to the company, and if he wasn’t so busy making all that fantastic beer, he would be fantastic in a more public-facing role. We were taken through every stage of the brewing process, and were gleefully shown each part of the new brewhouse and every shiny new piece of kit. The key message was how the brewers are now able to do so much more with the new equipment, and most importantly, how much better they can make every pint of beer they make. Faults and inconsistencies with brews were openly acknowledged, and we would then be shown something that had been put in place to resolve it. More than anything, head brewer Stewart seemed, genuinely, visibly chuffed to be able to work in that brewery. He said at the end of the tour how grateful he was to the shareholders for giving him the opportunity to make more beer, and better beer, every working day. From time to time, BrewDog make missteps with their marketing and the language they use. Sometimes, the repetitive messages lose their tongue-in-cheekness and come across as pretentious, or condescending. But James, Martin, and other people in the company occasionally say things in passing that should really be the brewery’s main message. “Investing your money in making beer better” for example, needs to slapped onto the front of every shares prospectus. This year’s AGM really brought that message home. It was good enough to see that they had learned from their mistakes last year, but to hear those words, meet these people, and be given the AGM that every shareholder thoroughly deserved, filled me with pride. Buy the shares, take the ride. 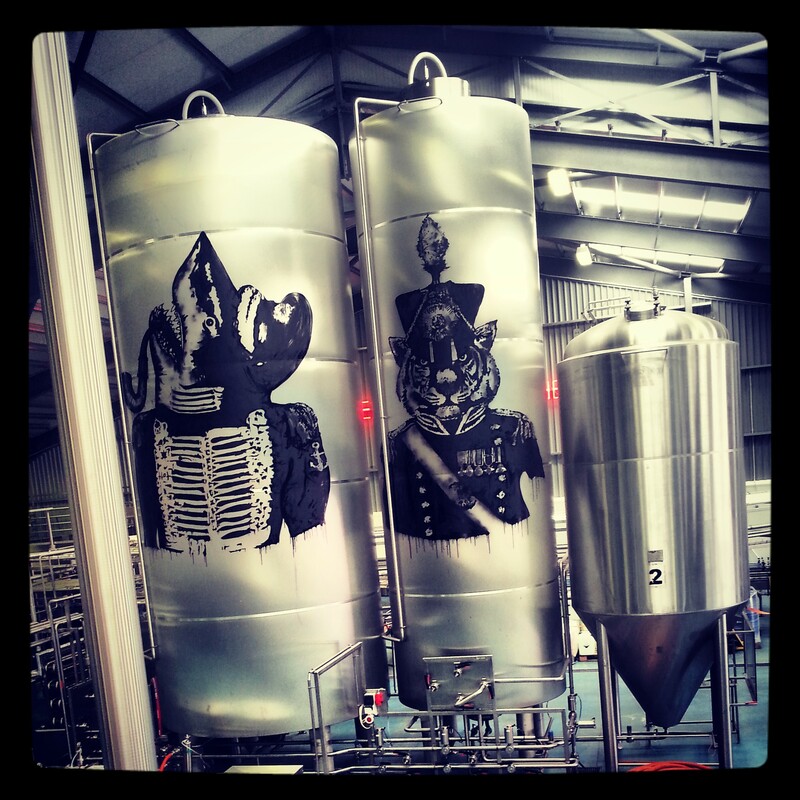 An investment in BrewDog isn’t just financial. It’s buying into a culture, an attitude, and a hope that beer can be incredible and bring out the best in people. It’s a club mentality, certainly. But you still *feel* as though you are making a contribution beyond the purchase of beer. Seeing the new equipment in action, bought with your money, for example. Thanks for your thoughts and for the RT! Until Saturday I was always a bit skeptical of BrewDog’s motives but being lucky enough to be a guest at the AGM changed my mind entirely. Having the opportunity to speak to a set of guys who have so much genuine passion for what they do was amazing. I don’t care if they make loads of money, in fact I encourage them! They are helping raise the profile of British brewing, bringing tons of overseas cash into the economy, and having a hell of a lot of fun at the same time. Exactly the sort of business people should be investing in, which was exactly why I bought a share during the event. I’m converted! Great points, Pete. Appreciate you sharing your thoughts, and it was great to meet you at the weekend! Was good to meet you too Chris, will see you next year! 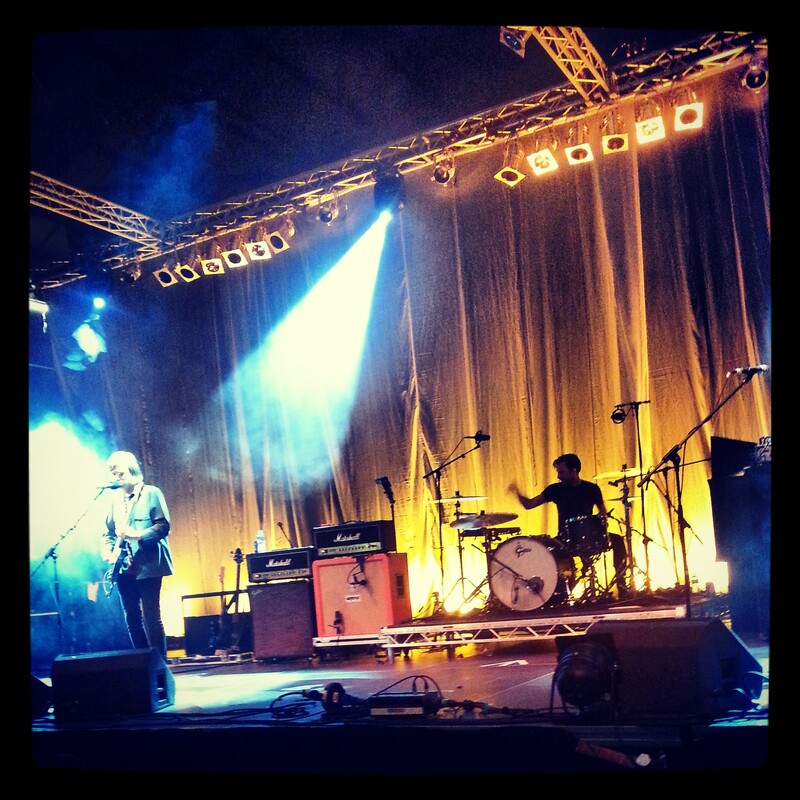 Chris – thanks for your thoughts and thanks for coming up for the weekend. Glad to hear you thought it was better than last year. The whole team worked really hard to make it as good a day as it could be for our guests and to ensure we dealt with the issues we had last year. Oh and the 2014 AGM will be even better! Cheers James. I and many others noticed the big differences. Can’t wait for next year!